If you REALLY want to get free of the fear in your life, I highly recommend the Fear Finder exercise. It’s published in both of my books and it’s posted on my website here. It has helped me SO MUCH!! It only takes 5-10 minutes to do and it seems like every time I do it, I get a little free-er! I love that! ♥ If you want to do the exercise with me, I recorded in on YouTubehere. This came to me the other night. Just by being authentic … by being “REAL” and not fake or pretending to be something you aren’t makes a HUGE impact on those around you. People sense authenticity. You can tell when someone is “real”, can’t you? Somehow when you are with someone who is authentic – it frees you up. It gives you permission to just be YOU. Since they aren’t pretending, that means they have accepted themselves. They are not trying to put on a show to get you to like them. They like who they are. And somehow that self-acceptance translates to being free to be yourself with them. The world is full of people trying to impress others – trying to fit in, to be accepted. Rare are the ones who have stopped playing the game and have decided to simply accept themselves. With those folks, it does not matter whether you look right, talk right or even act right. 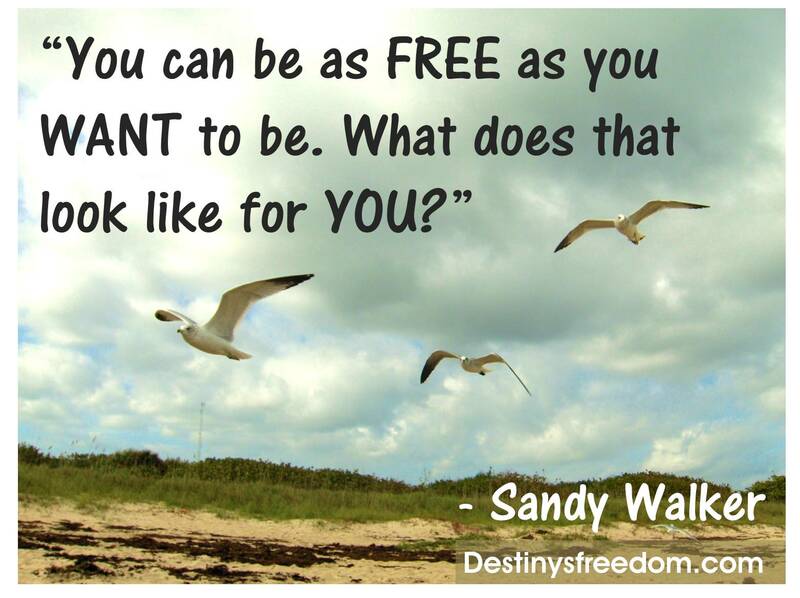 You are allowed to just “be” – no performing. What a priceless gift that is. Thank you, Friend, for showing me that the other day. A friend just posted this on Facebook and tagged me – Wow! What a great article on the Power of Forgiveness. I’ll summarize what it said because it is worth sharing – you can read the entire article here. Learning to forgive others releases burden and brings freedom back to our heart. It results in less stress, less hostility, lower blood pressure, and reduced symptoms of depression. It provides the opportunity to live a simplified life on the outside and the inside. To experience the life-giving nature of forgiveness, try putting into practice these six steps each time you are hurt by another person. 1. Admit that you have needed forgiveness in the past. We all make mistakes. We’ve all hurt other people in the past. One of the key steps in being able to practice the power of forgiveness is to realize that you have needed forgiveness at some point in your life too. When we are able to humbly admit that we have needed forgiveness from another, we are in a better position to offer forgiveness to someone who has hurt us. 2. Understand what forgiveness is not. You were wronged. Don’t minimize the offense by pretending it didn’t happen. Granted, if you were hurt accidentally, you only need to show patience. But if you were hurt intentionally, you’ll need to accept that fact and show forgiveness. 3. Realize the difference between forgiveness and trust. One of the most misunderstood aspects of forgiveness is when it is confused with trust. Depending on the nature of the offense, your ability to trust has been deeply compromised. Forgiving somebody does not mean that you need to restore that relationship without changes. Remember that forgiveness can be instant, but trust must be built over a period of time. Realize the difference. While offering forgiveness brings freedom, being wise about trust can protect your heart in the future. 4. Give up your right to get even. Too many people live life keeping score. They keep a mental list of people who have wronged them in the past and live their life looking for opportunities to get even. Forgiveness provides the opportunity to erase the list and to release your heart from the burden of revenge. 5. Choose to respond with kindness. Anyone can respond to evil with evil. But only the strong can respond with good. Kindness breaks the cycle. It can bring freedom to your soul and release your life from the never-ending, downward cycle of responding to evil with evil. 6. Repeat the process as needed. As long as you live your life in relationship with others, you are going to be wronged. Accept the fact that nobody is perfect and be prepared to repeat the process above as needed. If you are harboring resentment towards another human being because of past hurts, choose to forgive and move on. The harm was their fault. But allowing it to weigh down your life today is yours. 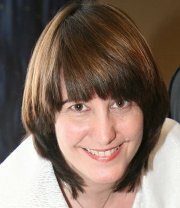 Joshua has a great website at http://www.becomingminimalist.com/ – I encourage you to check it out! It just does. Need I say more? Tell the truth – it will set you free. Listen to the truth – it will set you free. 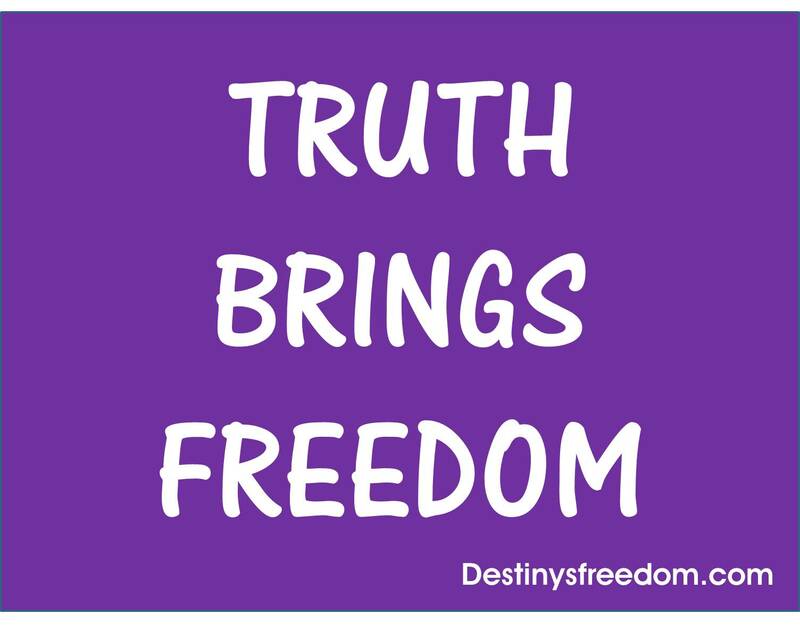 Be the truth – set others free. It’s pretty simple. Lies (the opposite of truth) ensnare you like a spider’s web. If you want to be free – live the truth you know. Listen to the truth that resonates with you. Be the truth that others need to see/hear. 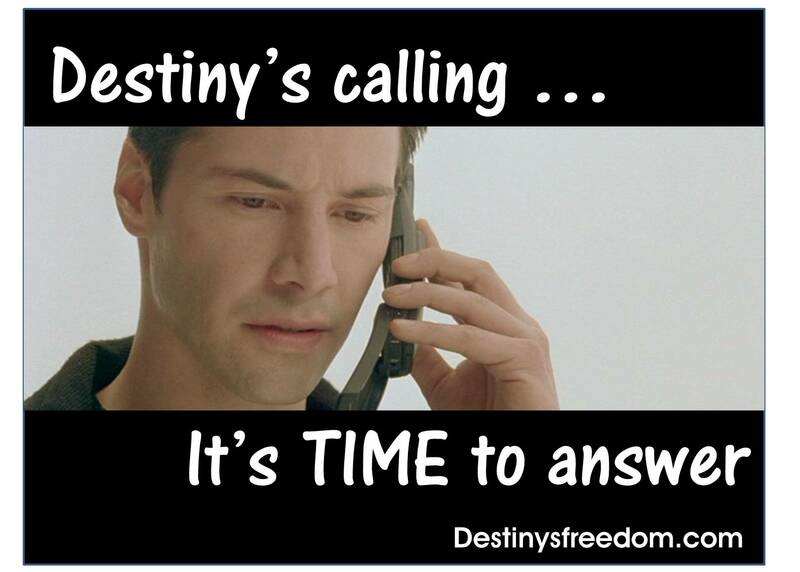 Go ahead … answer the call. You know you want to. Just do it! 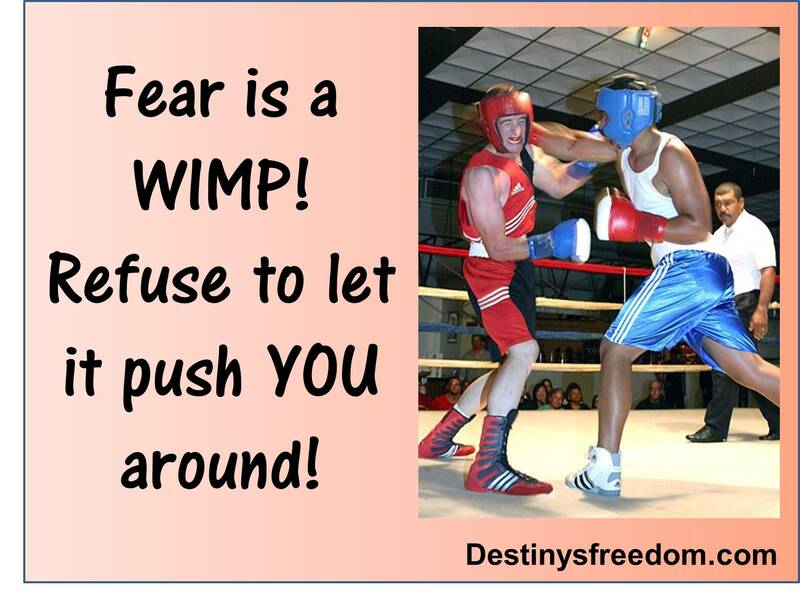 Fear is a WIMP! Refuse to let it push YOU around! Most people are amazed that Fear is actually very easy to overcome. It feels so paralyzing when it has you in its clutches. But the surprise is – when you confront your fear, it turns out to be a wimp! It doesn’t have any substance. See my previous post about this. Most of what we fear or worry about never comes to pass. Try it – confront a fear you have and see if it sticks around. Just like a bully, once you look Fear in the face and say, “Leave me alone!” with authority in your voice, it will back off. Fear is afraid to be challenged – it’s greatest power is in deceiving you into thinking it has more power than it really does. 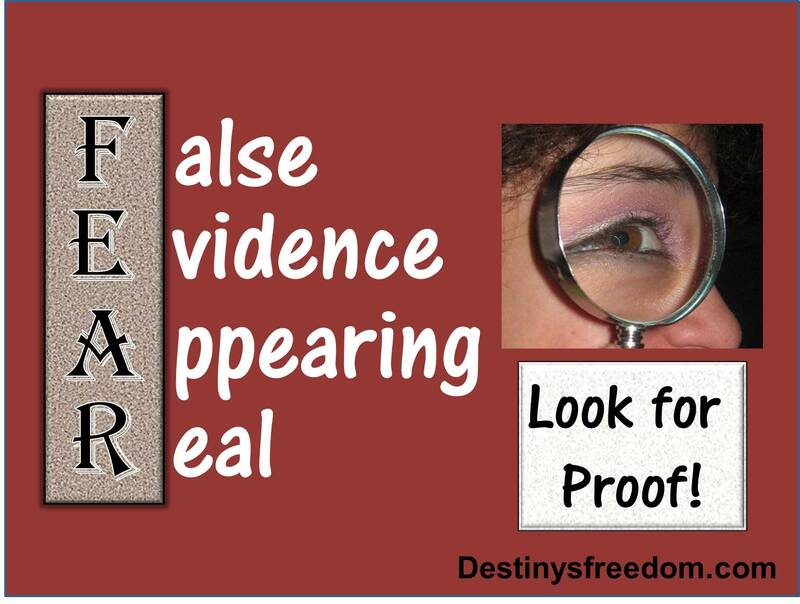 Stand up to Fear – don’t let it push you around!